Would you like to get rid of all paper invoices in your organizations - and all of the errors, inefficiencies, and costs that come along with them? The benefits of e-invoicing are compelling. Accounts Payable (AP) departments that implement e-invoicing realize dramatic savings, increased financial visibility, and greater control of cash flow and working capital. They achieve greater efficiencies, enabling them to reduce administrative costs by up to 90%. 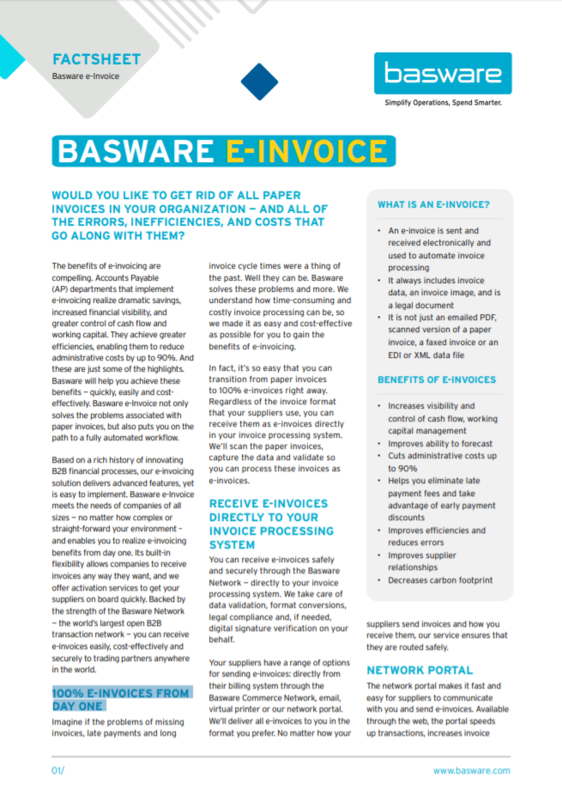 Get this factsheet to learn more about the benefits of e-invoicing and what sets Basware apart.